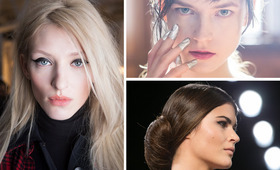 Are you going to a party tonight and in a bind for last minute Halloween makeup ideas? These easy makeup tricks will make it look like you planned your costume way in advance, but can be executed easily without any practice. With a few tips and tricks, your face can be the focal point for all sorts of creative costumes. 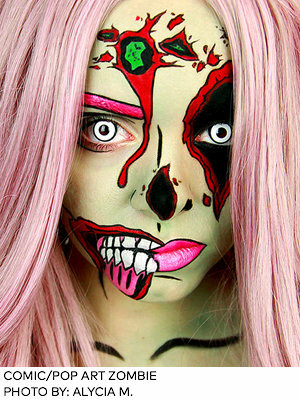 Get inspired by these last minute Halloween makeup ideas. Bloody tears are great because they can be added to all kinds of looks and you can draw them on using any red makeup—facepaint, lipstick, lip liner, fake blood or whatever else you can find. They can be subtle or over-the-top, pretty or gruesome, whatever you prefer. You don’t even have to do any other makeup, so its a great quick-fix if you need something that you can execute in under 10 minutes. You can add blood drips to your eyes, nose, mouth, ears, in any combination. Just add bloody tears and you instantly become Halloween-ready. 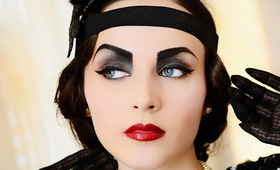 The Black Swan is a great go-to Halloween look. Even if you don’t have the exact costume, you will still look intense with the Black Swan makeup by itself. The strong upward-angled lines give a flattering, lifting effect to the overall shape of the face. Contouring the cheeks and nose also add a slimming lift. The only specialty item you’ll need is white cream makeup and color contacts (as long as you’re comfortable wearing them). The rest can be made with eyeliner, eye shadows and lipstick—all of which can already be found in your kit. The Corpse Bride requires specific supplies, like black and white facepaint and blue makeup (we suggest cream makeup set with translucent powder), but once you have the basics, the features of The Corpse Bride are fairly simple to recreate. 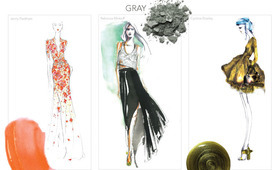 This look uses one of our favorite tricks—over-drawing the eyes to distort the proportions of the face. The flat, solid color of the facepaint helps create the trompe l’oeil effect. 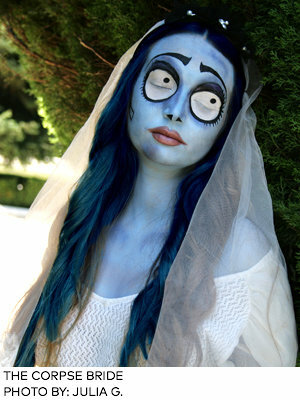 To fully recreate the character, you’ll also need a dark wig that you can dye or spray paint blue and a wedding dress. 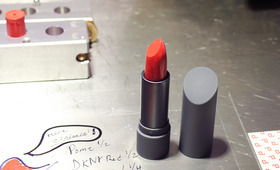 Which Bright Lip Is Best For You? Lady Gaga's "Applause" Video: Who Did the Makeup and Hair?